World renowned golf awaits players on Gulf Shores real estate. Play at the Kiva Dunes Golf Course is second to none and never disappoints. Consistently rating at the top of the list for courses to play in Alabama, this Gulf Shores property is expertly designed. 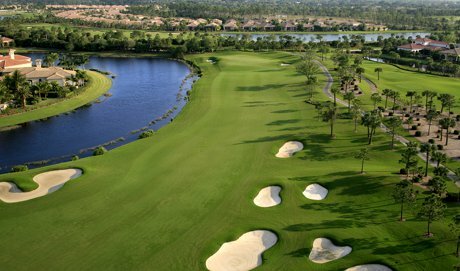 Luscious landscapes with beautiful greens and fabulous fairways are the standard. Breathtaking waterways add to the ambiance. Energy will be freely flowing as athletes engage in eighteen holes of golf at Kiva Dunes. Each is challenging in its own right. The first hole is a pretty easy opener setting the stage for a great game. A fun short par 4 beckons on Hole 4 with an opportunity for a birdie. It’s time for strategy on the back nine. A two tiered green on Hole 8 makes club selection something to think about. And, an accurate tee shot is a must on Hole 17. Those looking to improve upon their game will find high class tutelage here. Critically acclaimed PGA golf instructor Rea Schuessler is available for private and group lessons. It is recommended that players take advantage of the game analysis instructional option which provide in depth discussion on individual strengths and weaknesses. The Kiva Dunes Golf Course is definitely one to be added to an avid golfer’s bucket list. Players living in the Gulf Shores real estate area or near by can book a tee time online or by calling 251.540.7000.